Vector graphics of colorful circles to use as decoration. Bright color geometric shapes forming waving lines. Circles getting smaller in the perspective. Free vector image for wallpapers, backgrounds, backdrop images, posters, flyers, clothing prints, brochures and event invitations designs. 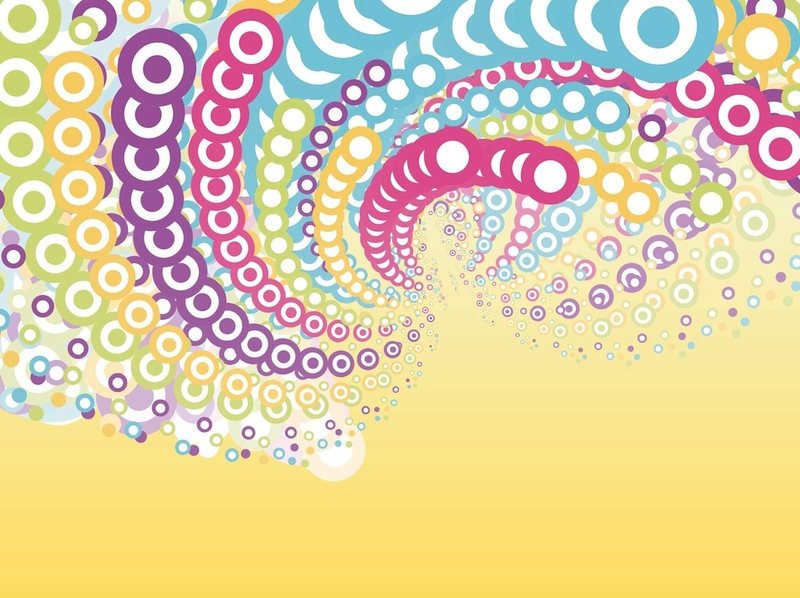 Tags: Abstract, Colorful, Decorations, Dots, Perspective, Pop Art, Round.